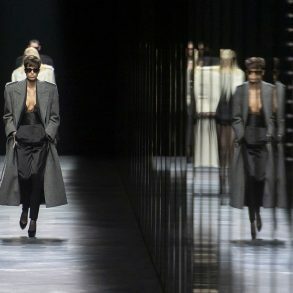 Part of fashion’s appeal is its ability to project one’s inner desires in subtle ways; a peek-a-boo here, and slit back there. 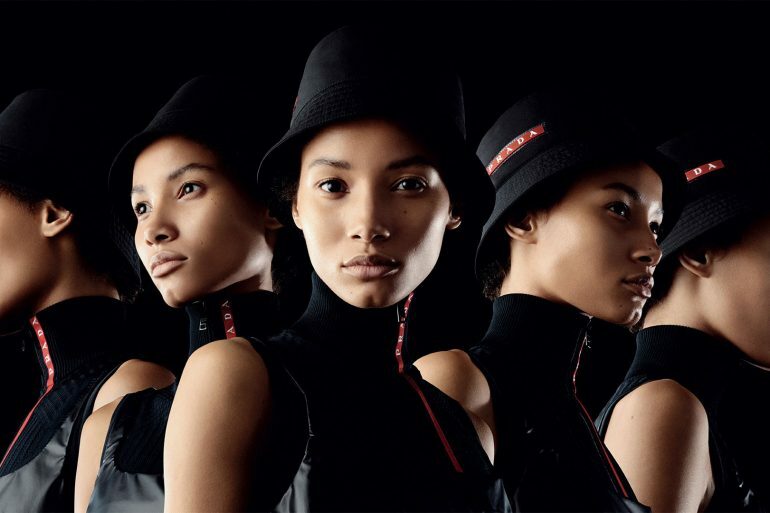 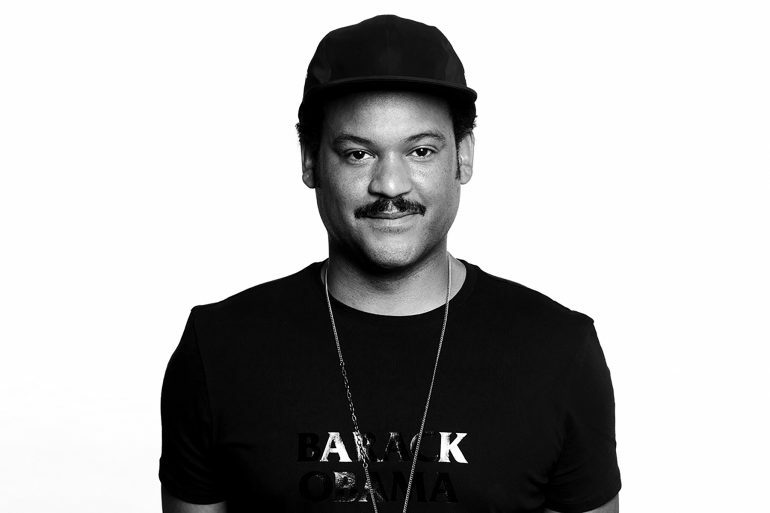 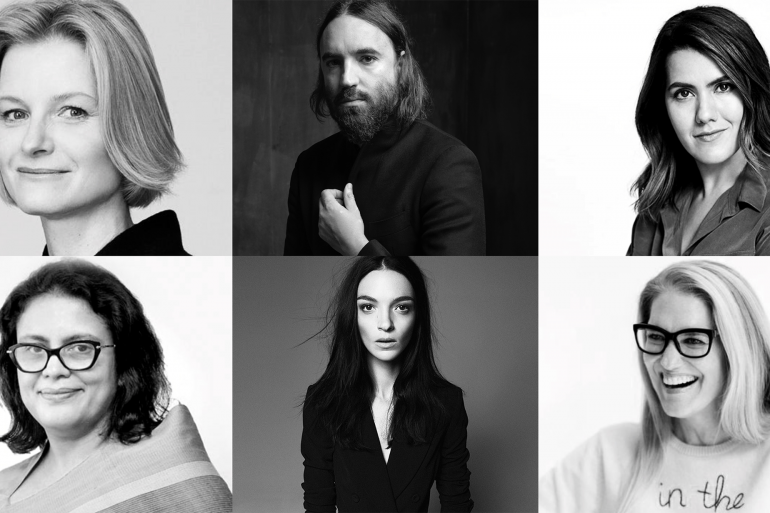 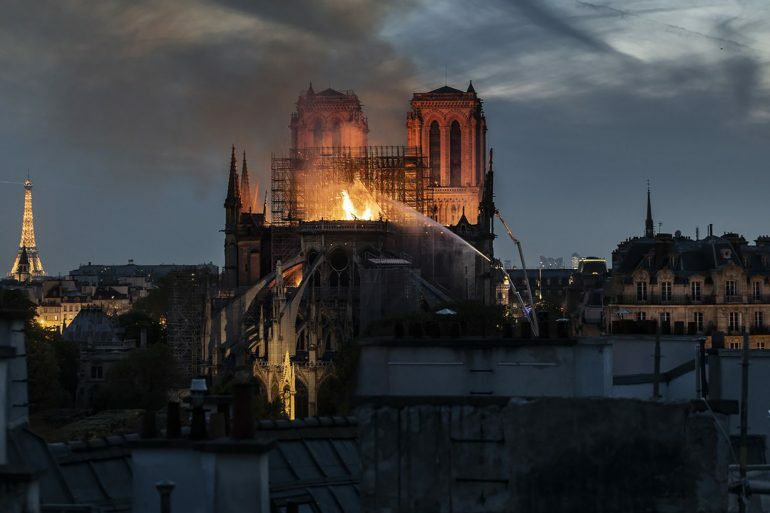 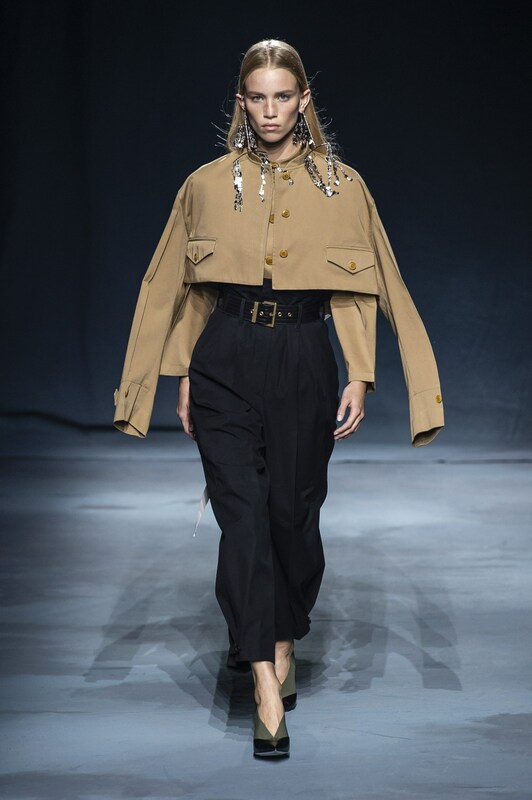 However this season a number of wiser designers recognized the moment, one ripe with empowerment to take charge and stand tall. 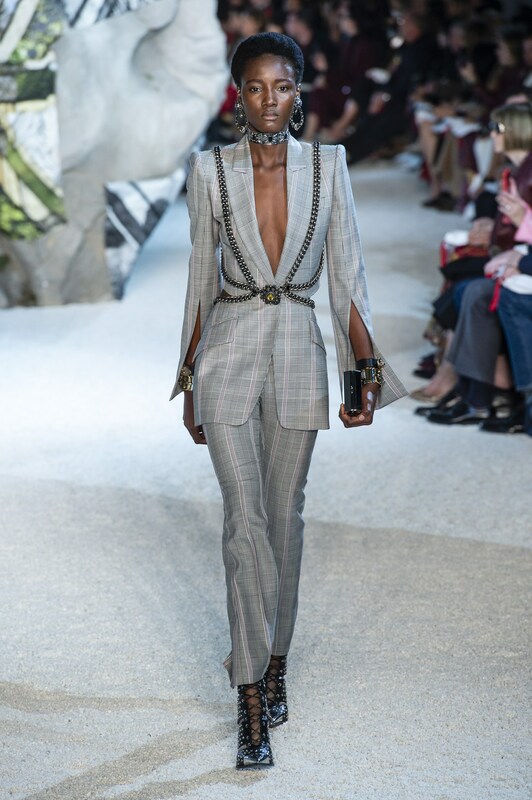 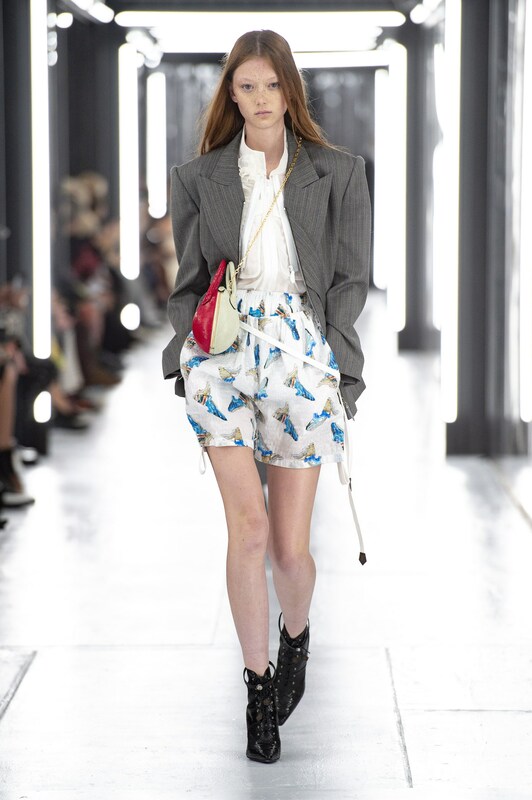 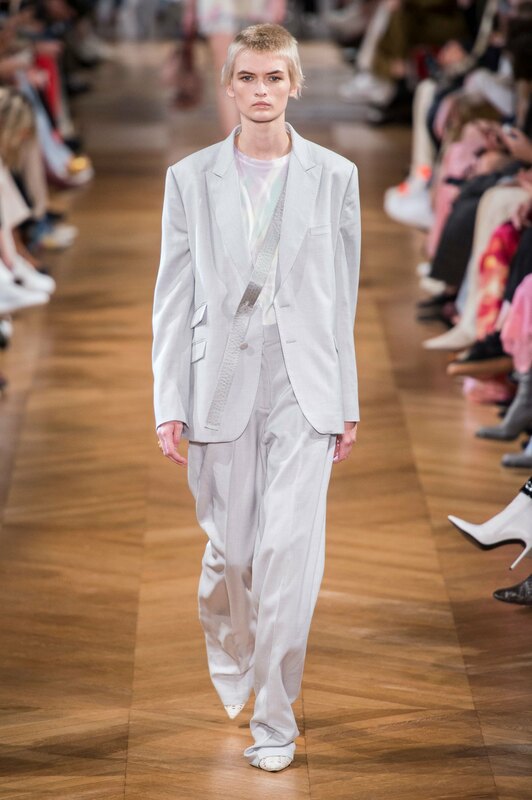 All done not with a cold shoulder but a padded one in one of The Impression’s key trends of the season, the power suit. 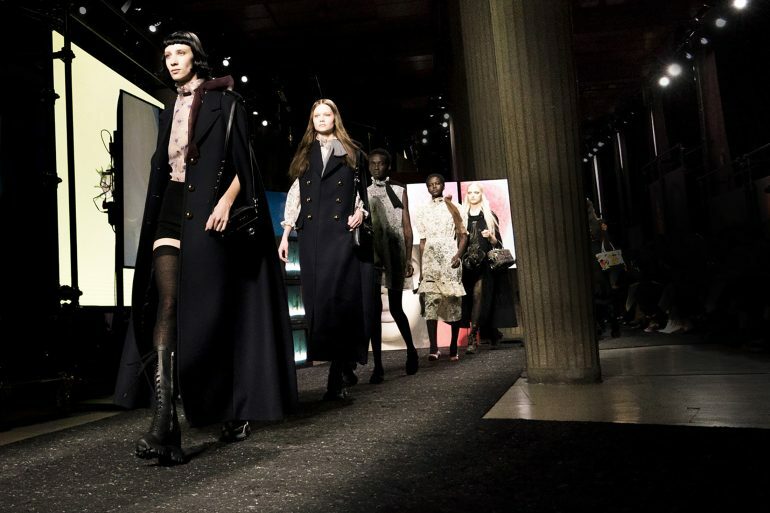 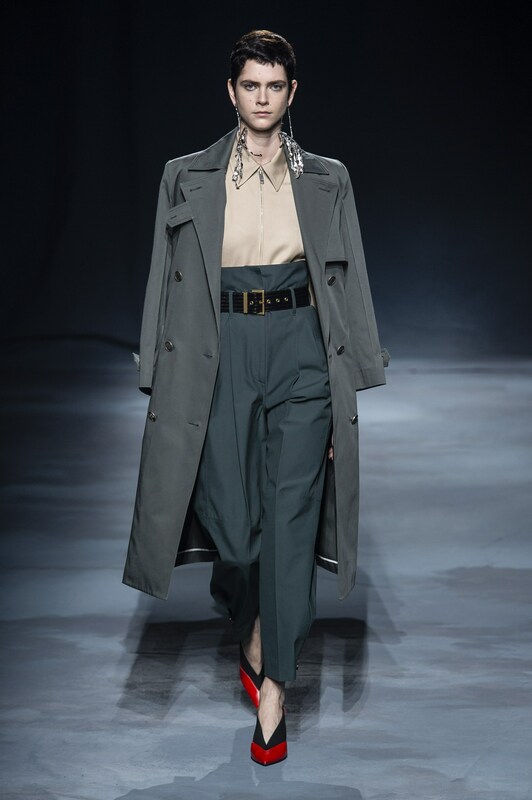 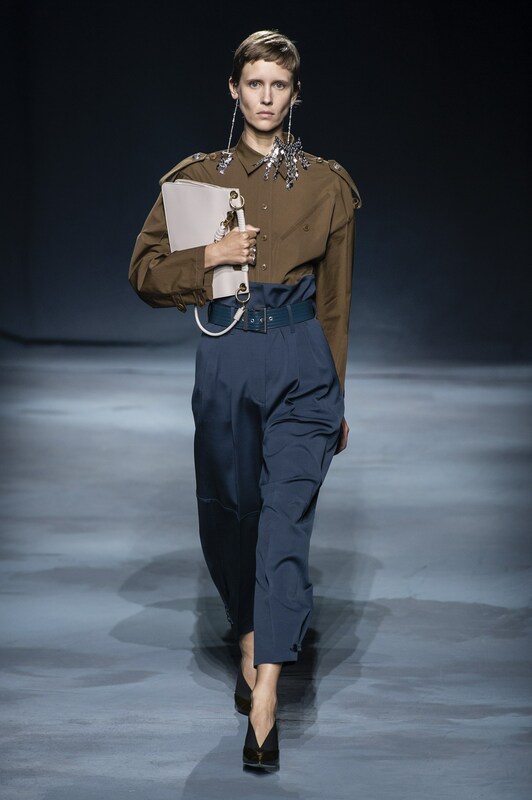 Givenchy’s Clare Waight Keller perhaps drove the point home more affectedly than most this season giving it a slight military edge with a high wrapped waist. 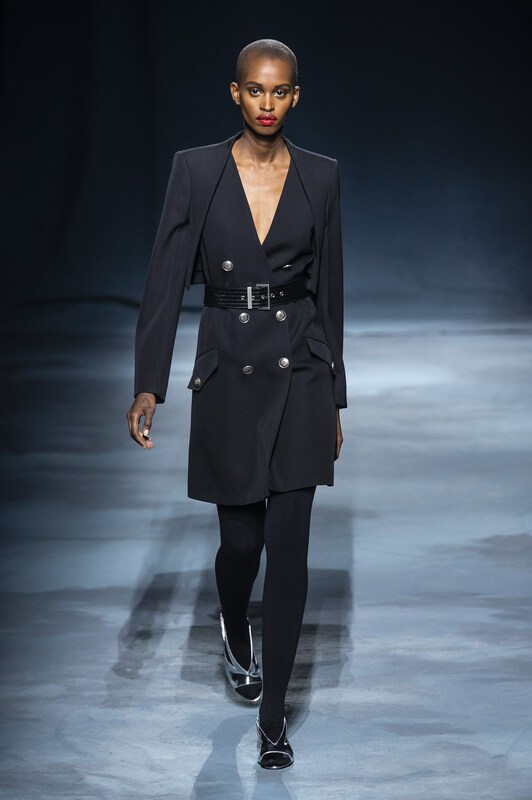 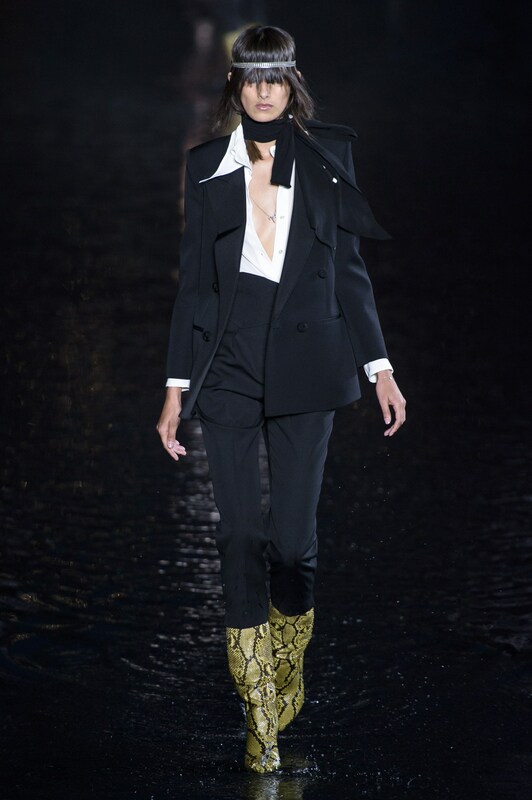 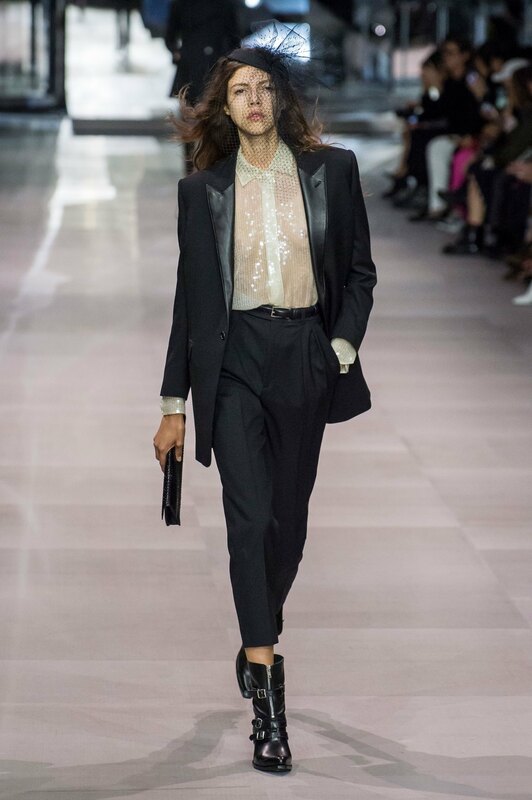 While Saint Laurent’s Anthony Vaccarello felt so strongly about it that he opened his show with a simple black double breasted jacket. 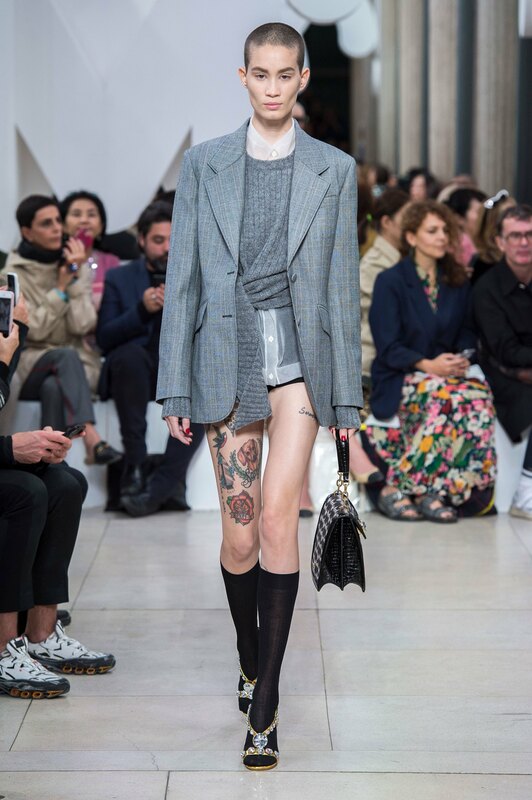 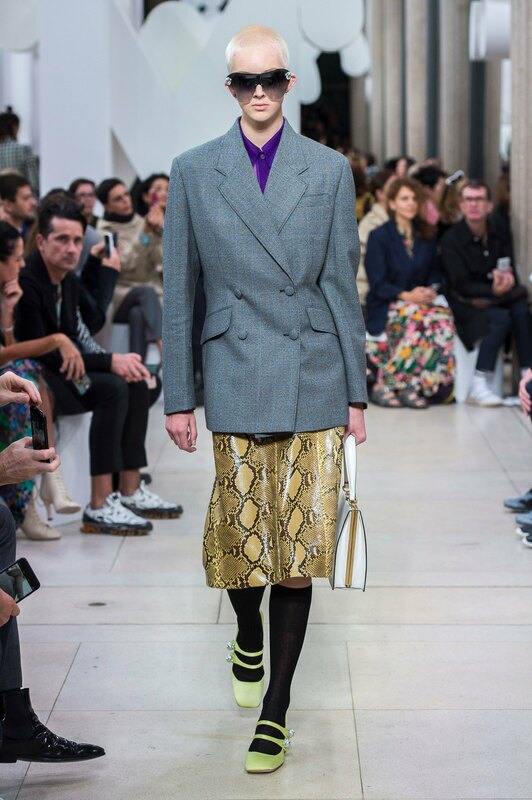 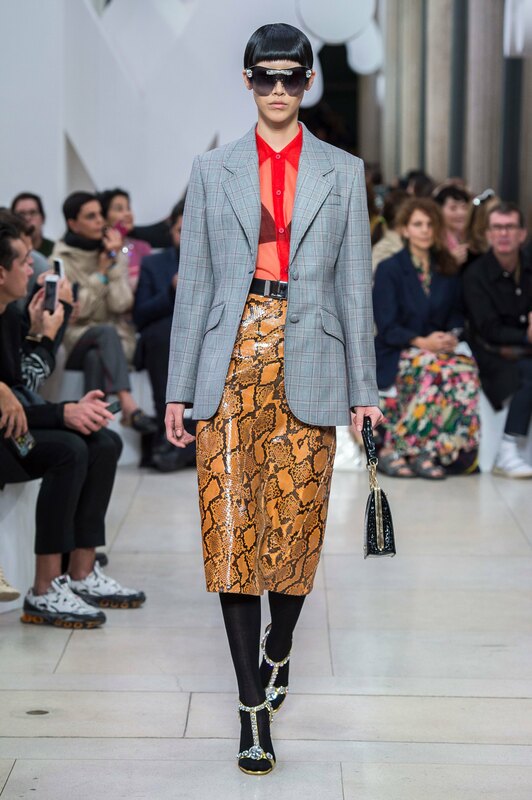 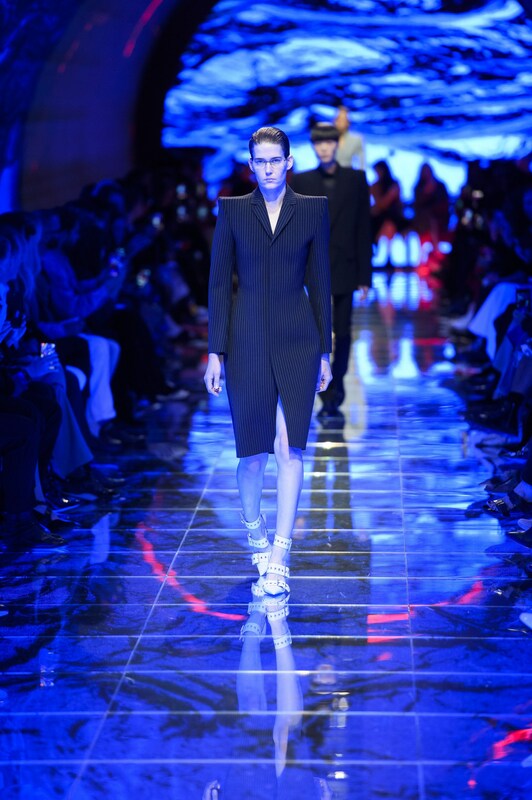 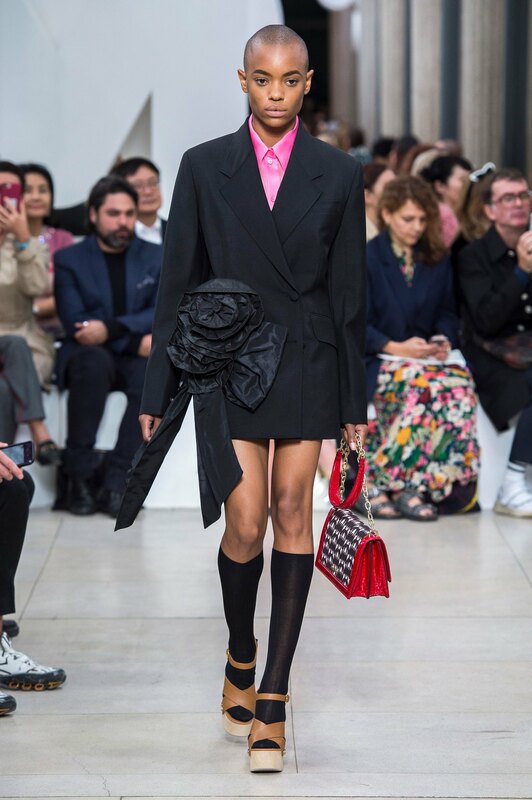 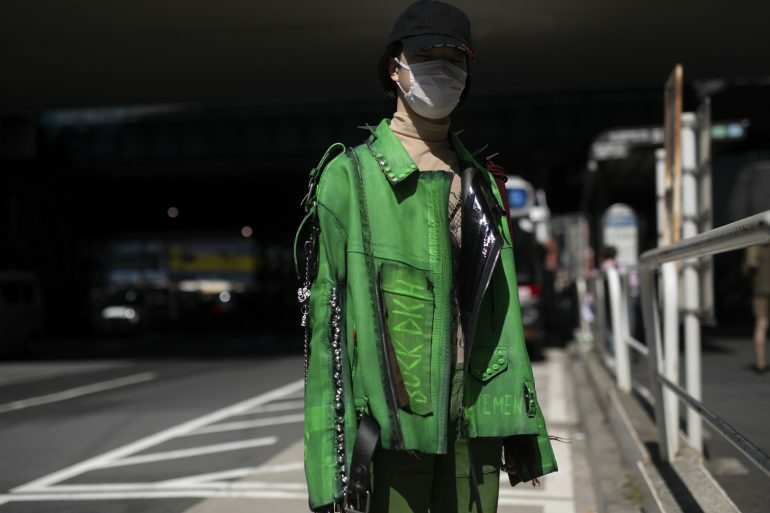 Demna Gvasalia at Balenciaga tailored up the entire collection, taking his shoulder to new heights. 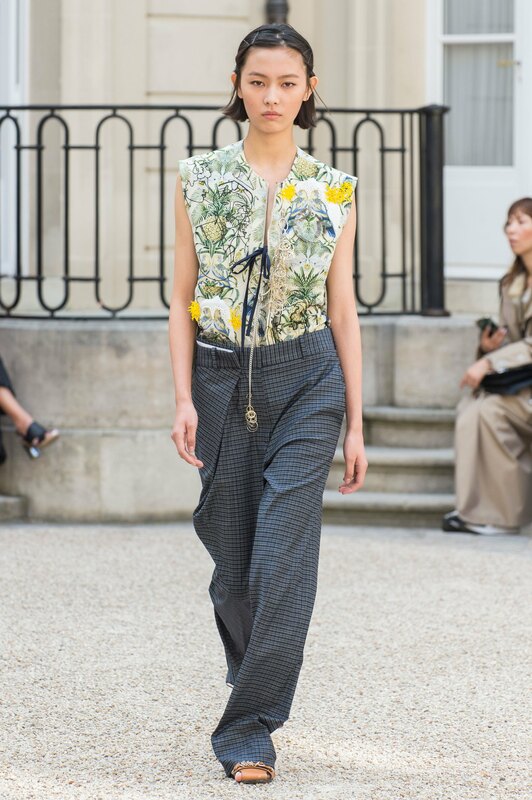 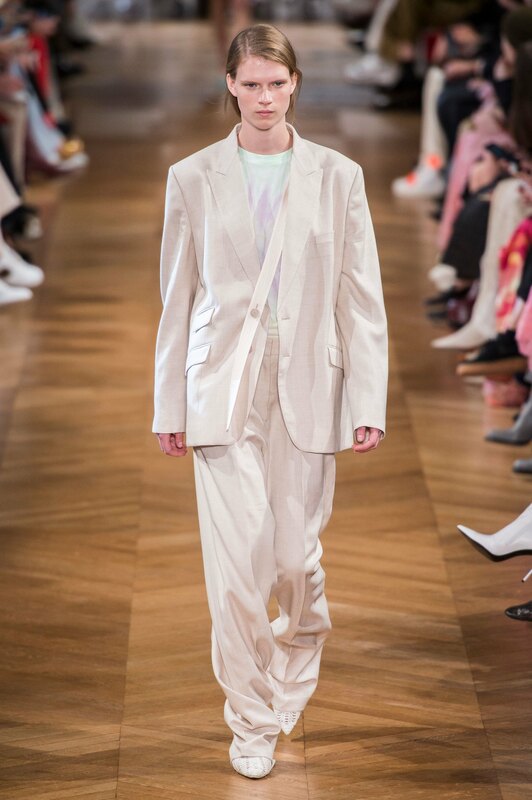 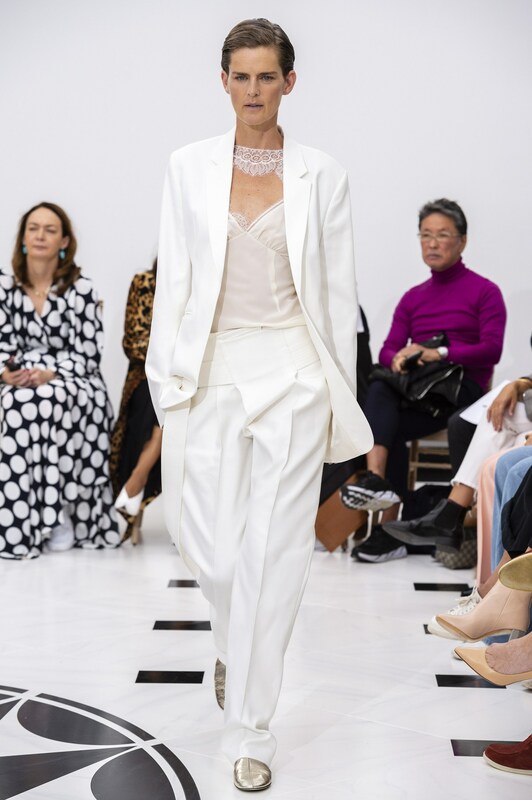 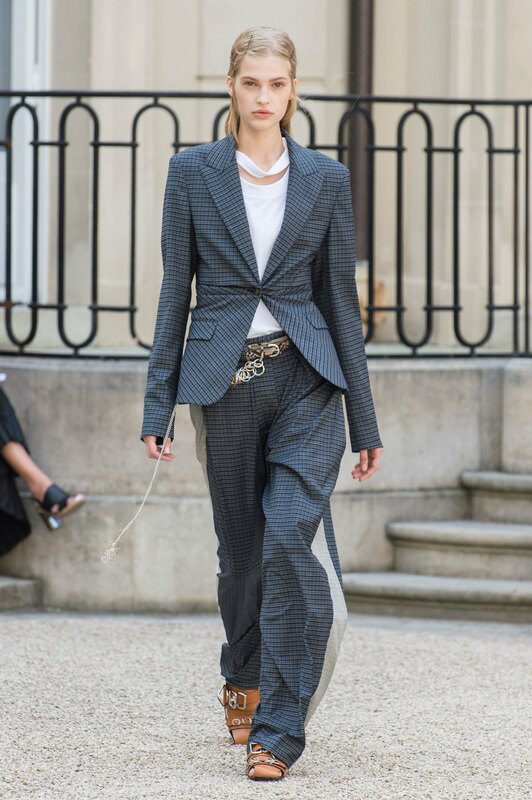 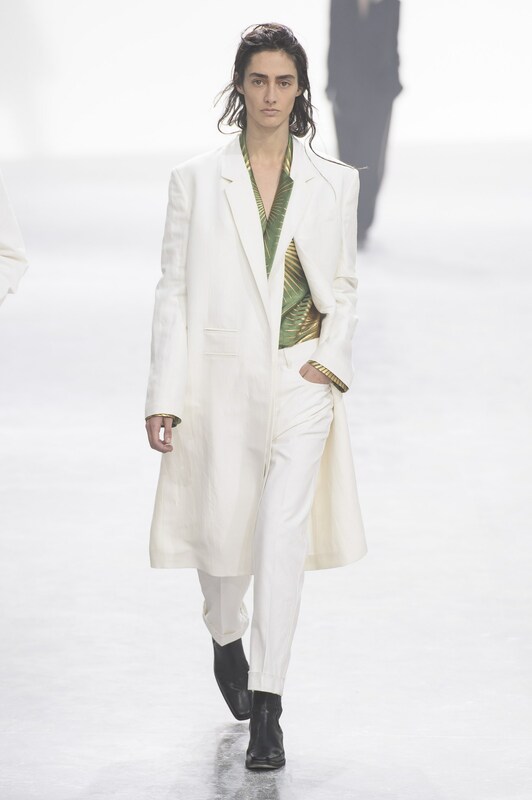 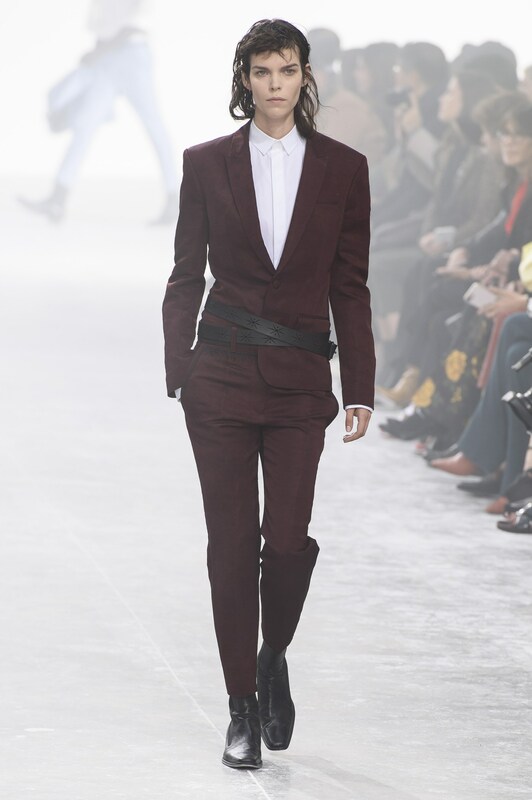 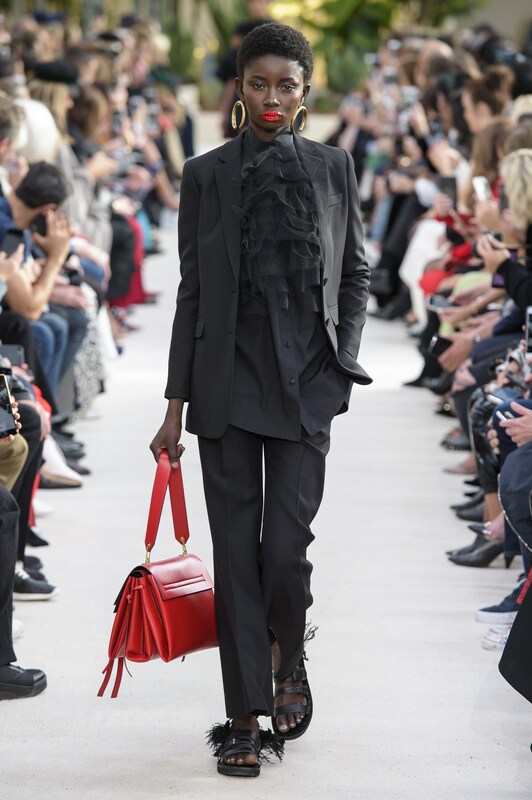 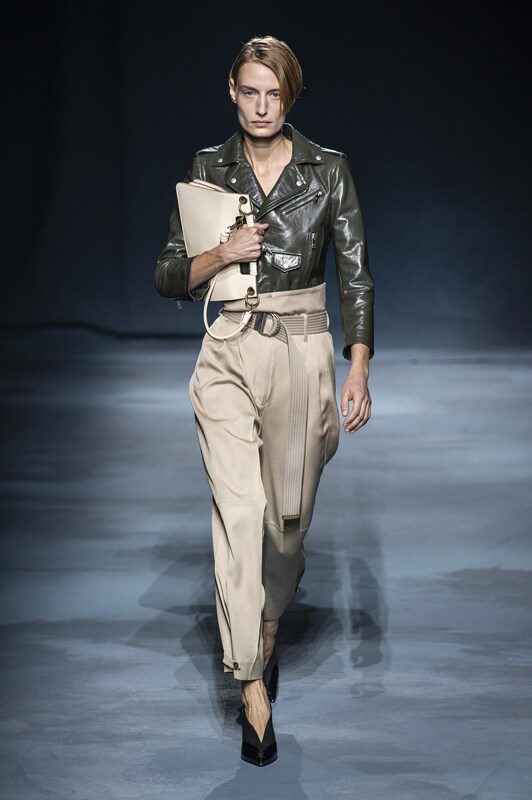 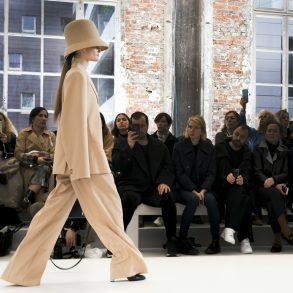 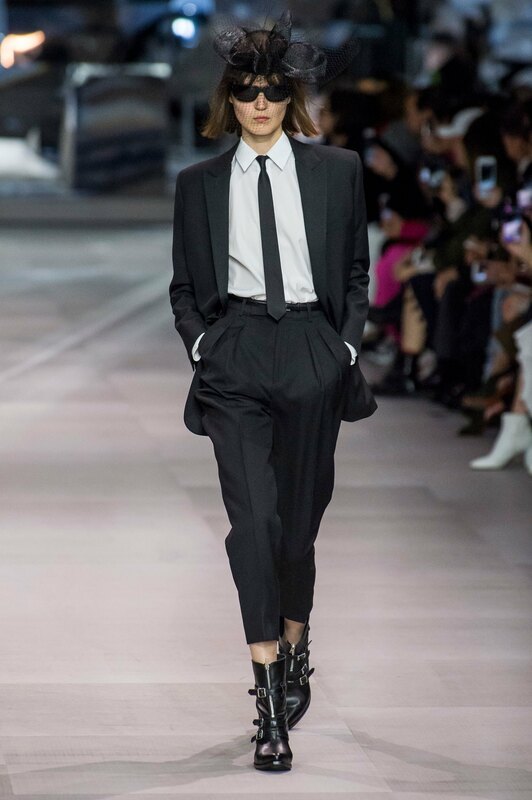 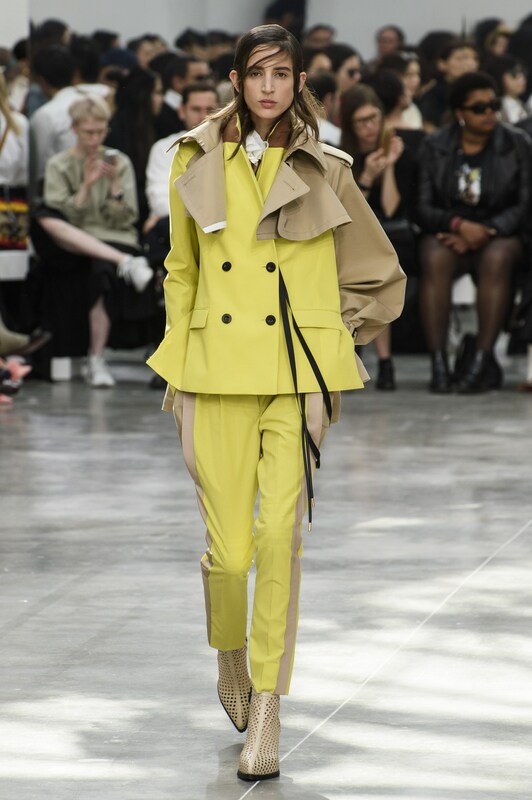 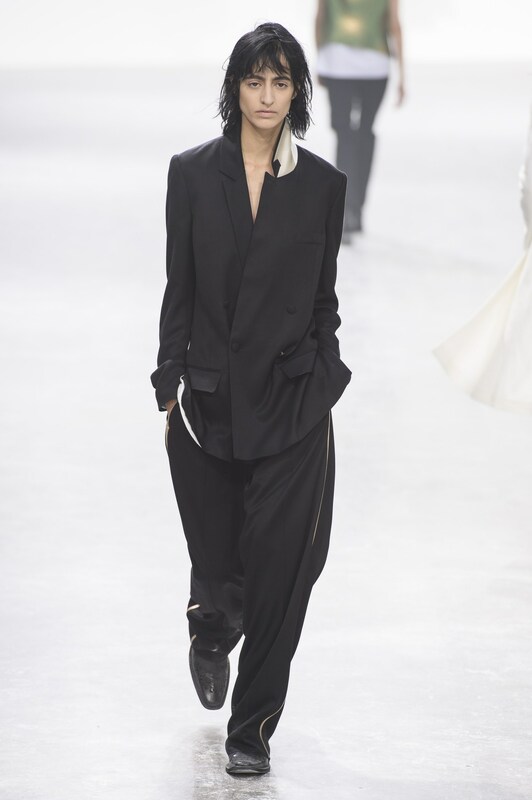 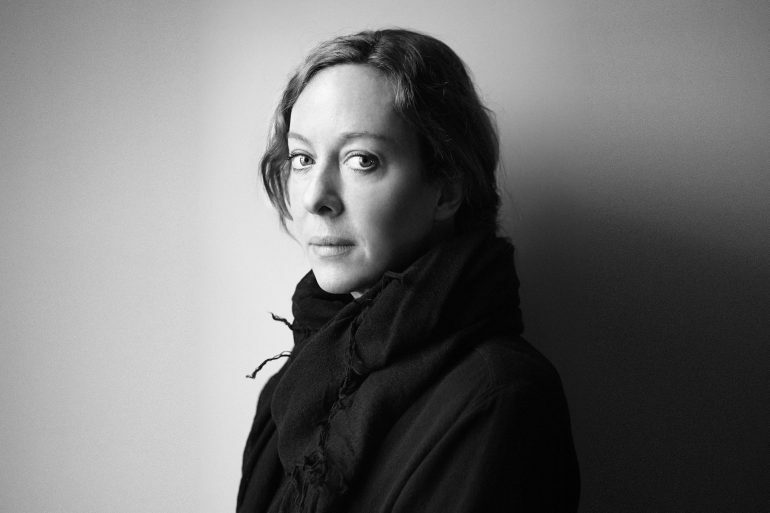 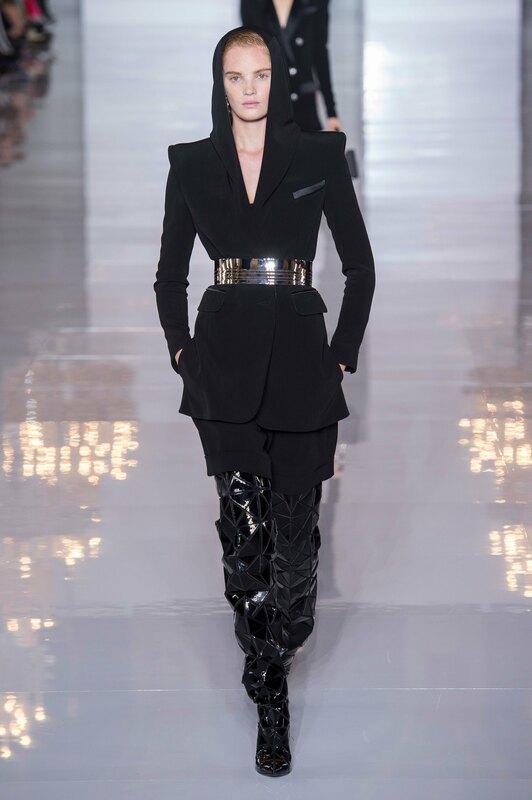 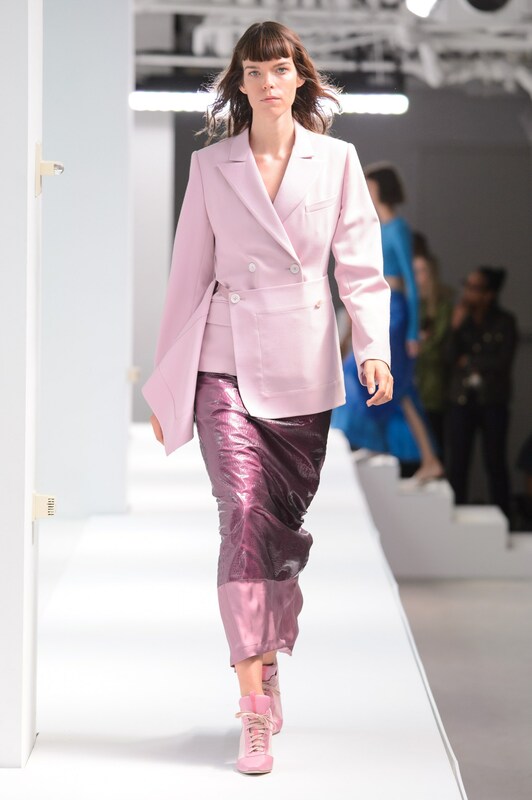 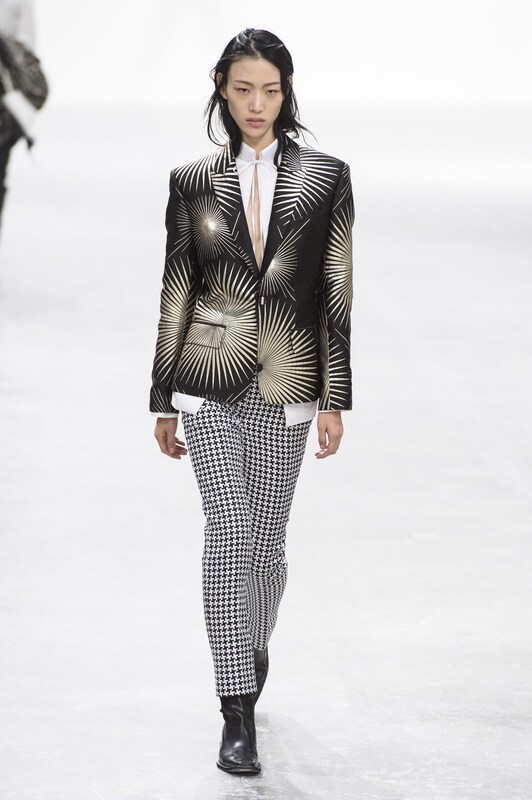 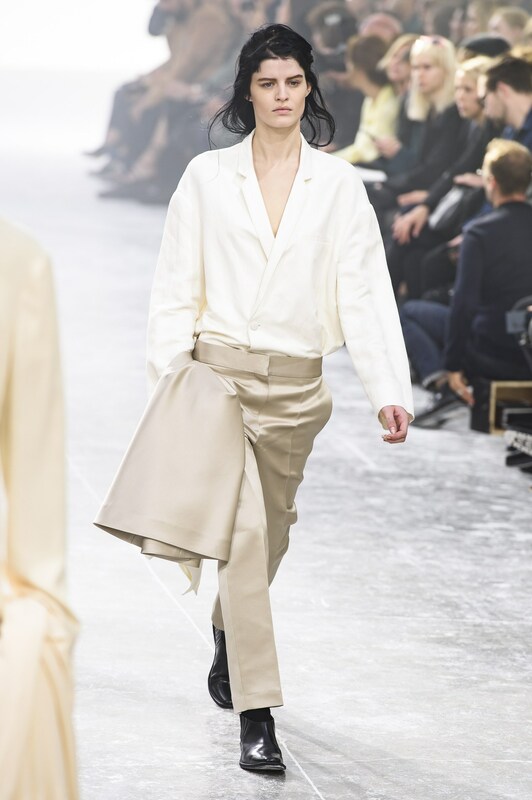 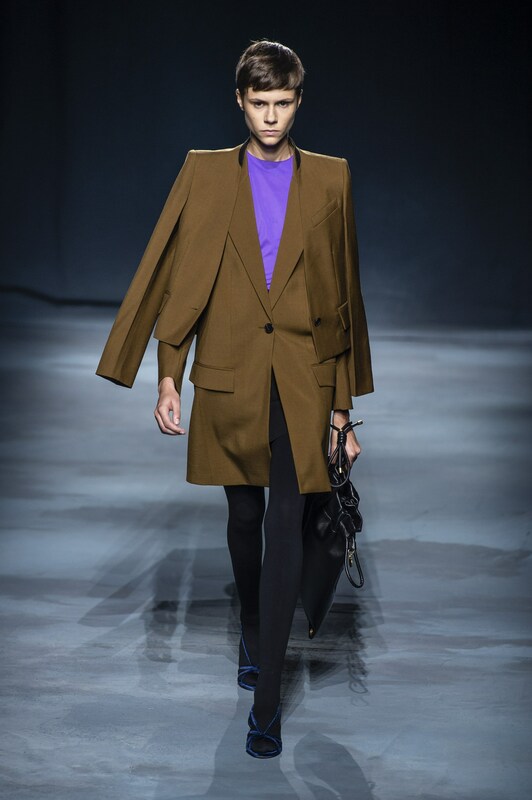 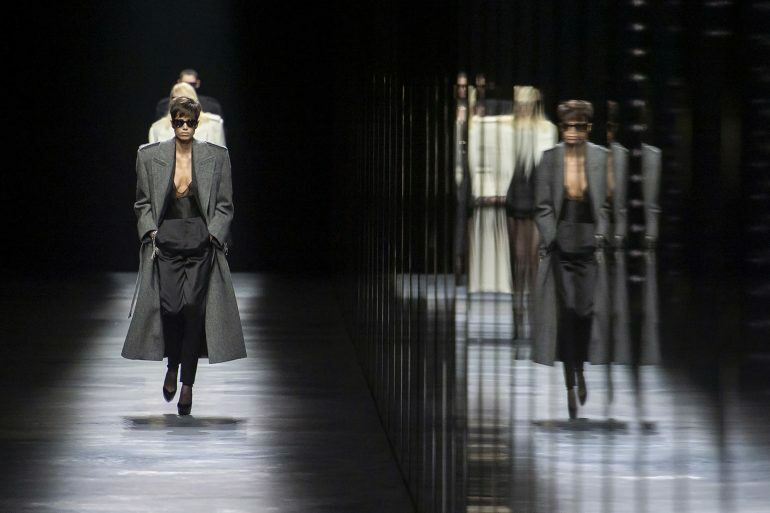 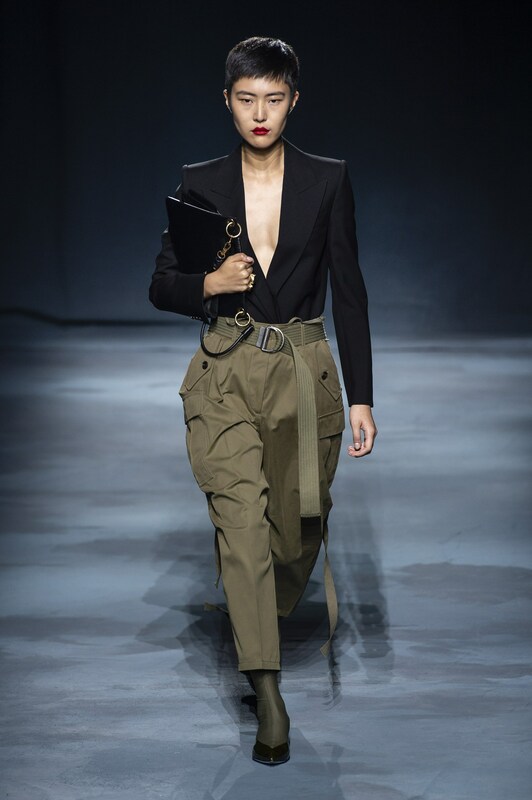 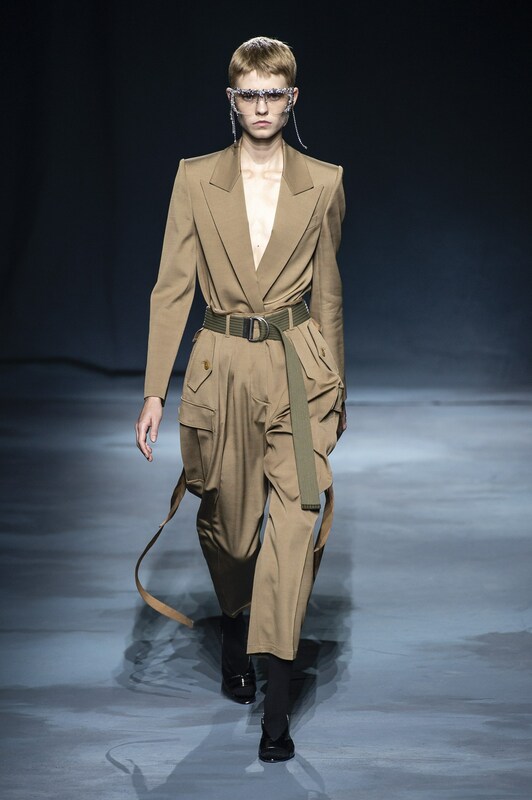 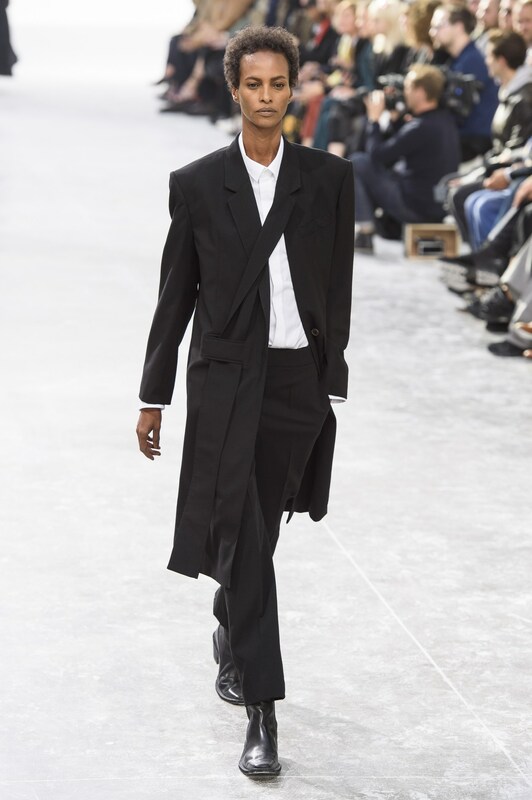 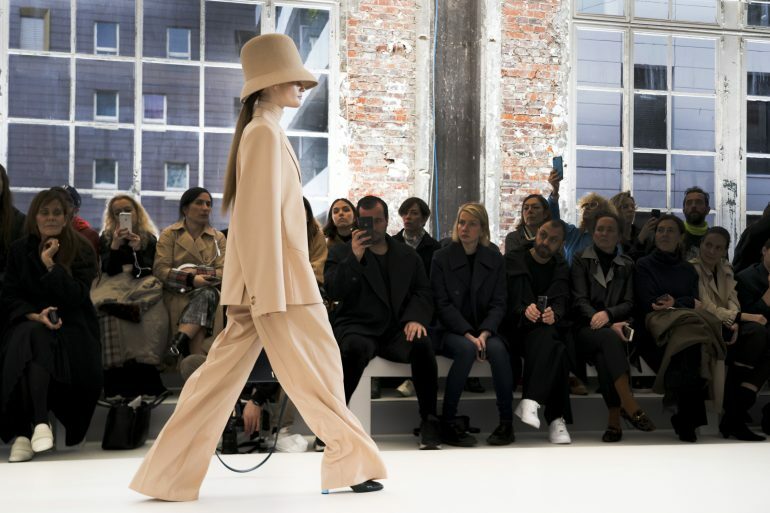 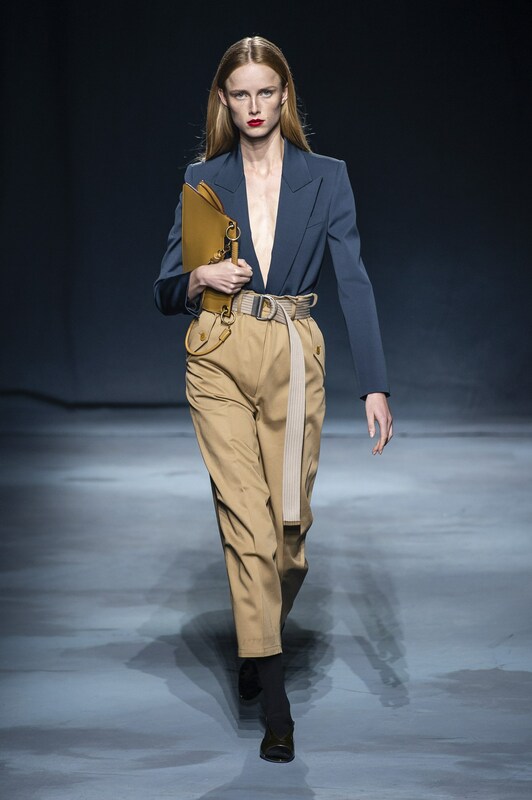 Others, like Haider Ackermann, Cedric Charlier and Victoria Beckham, played with the power suit waistbands adding in pleats or adjusting wider and high proportions to give the bottom half of the power suit just as much detail as the top. 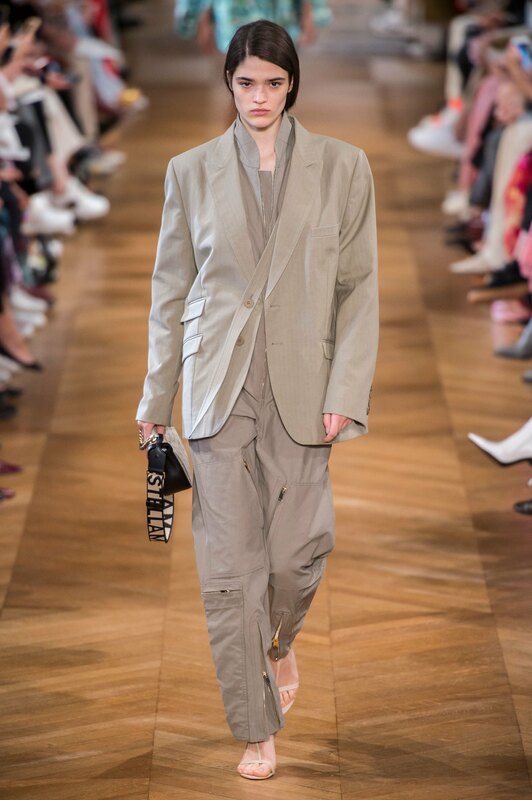 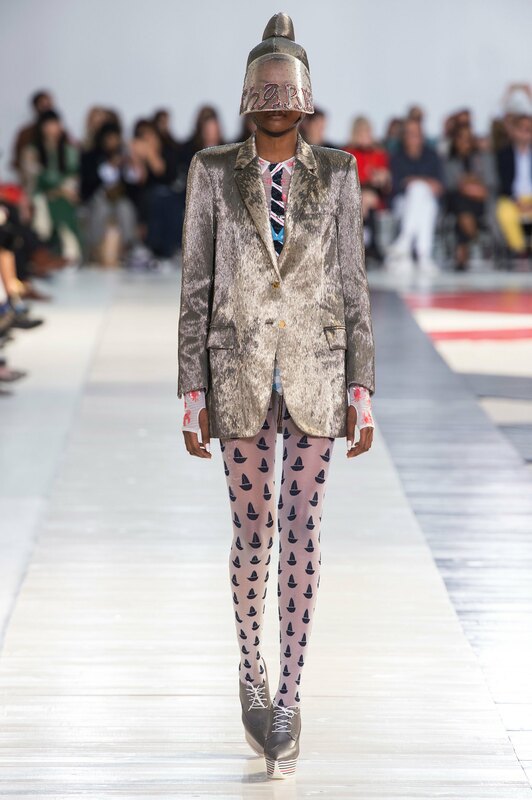 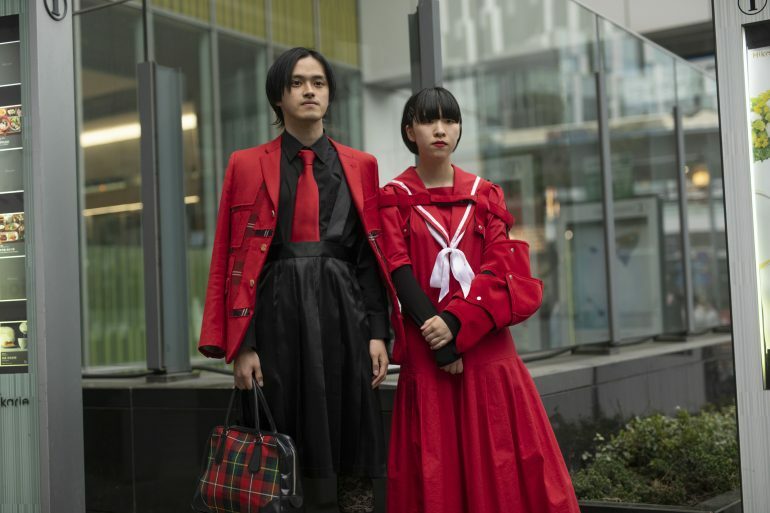 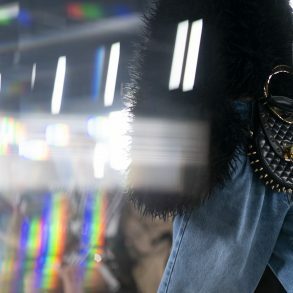 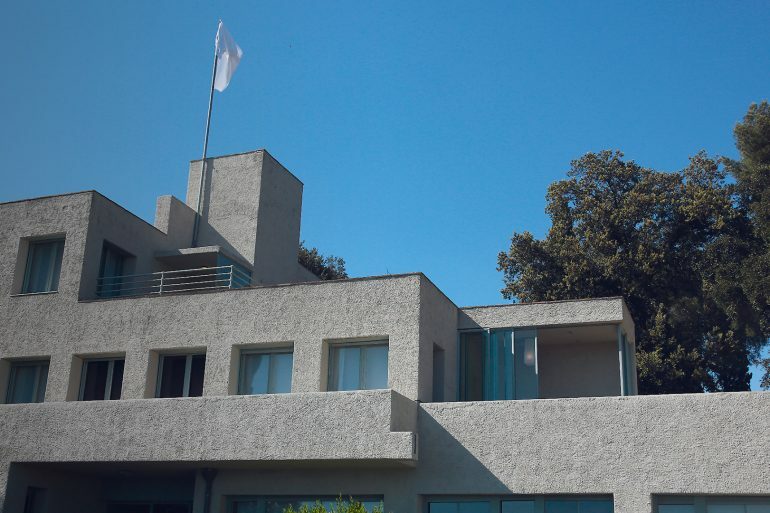 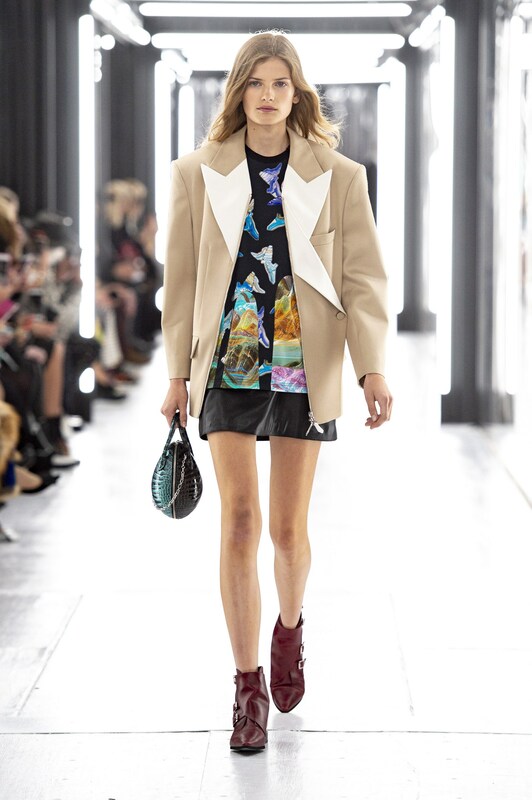 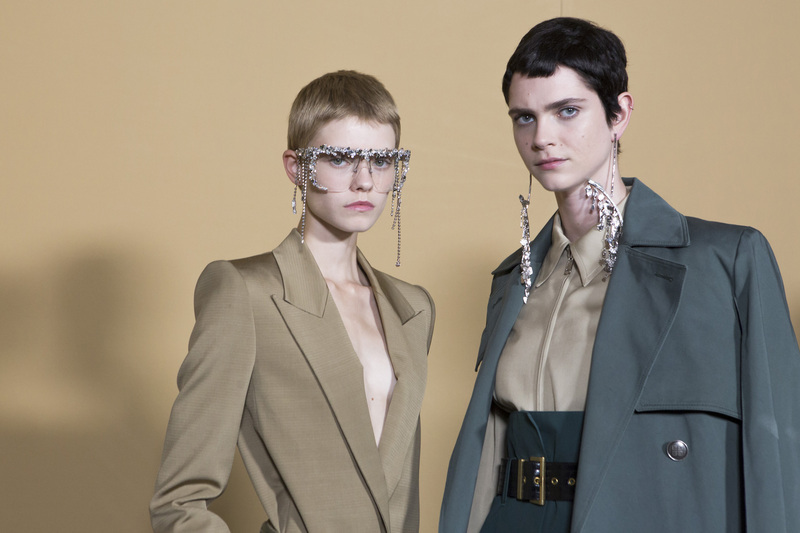 While 80’s colorful suiting was all the range this season, for practicality and to reflect the somber seriousness of the moment, more pragmatic designers option the suiting in black, grays and neutrals. 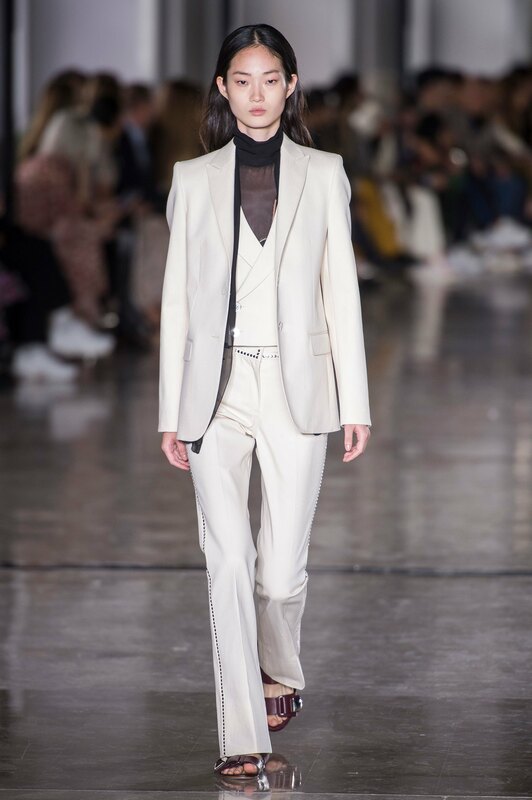 The result was the return of the female power suiting that felt timely in a moment where empowerment is as important as any other desire.